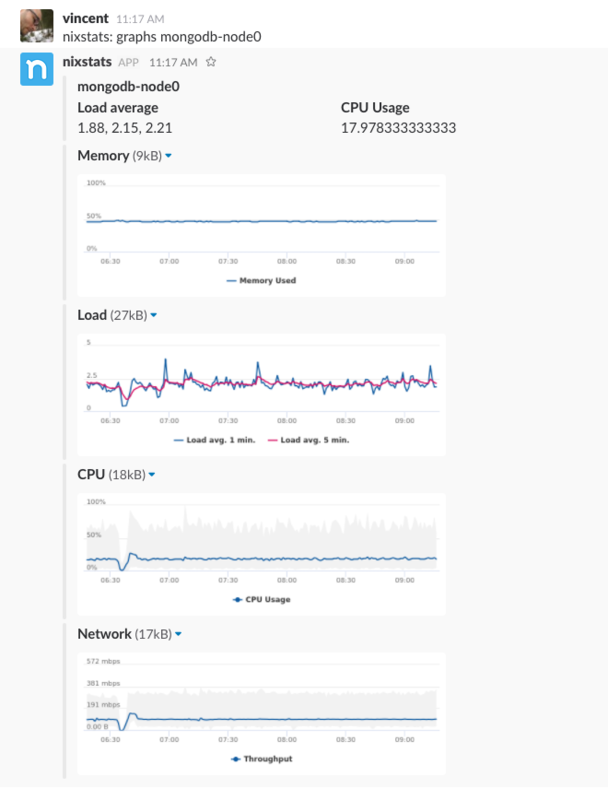 It&apos;s possible to fetch graphs directly from Slack using an outgoing webhook. Here are some instructions on how to enable this. 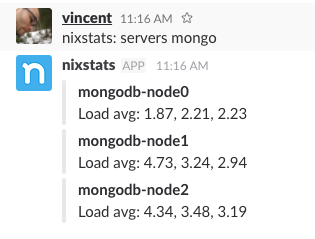 You&apos;ll need an API key from nixstats first, create a (read only) API key. Login to your Slack panel and create an outgoing webhook. 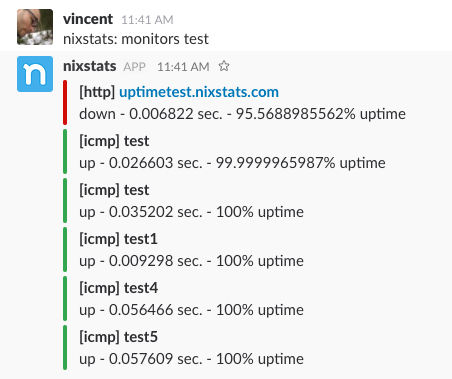 Set URLs to https://api.eu.nixstats.com/v1/slack?token=YOUR-NIXSTATS-API-TOKEN Don&apos;t forget to enter your nixstats api token here. Leave the token value as is.